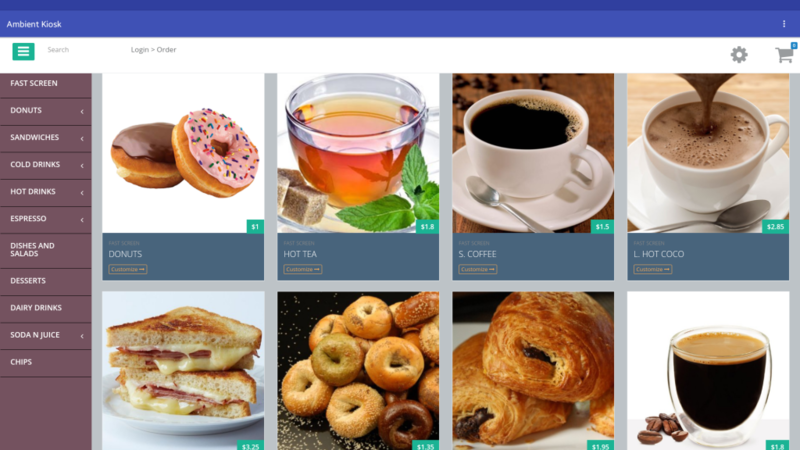 Improve Guest Experience with Self-Ordering Kiosk! 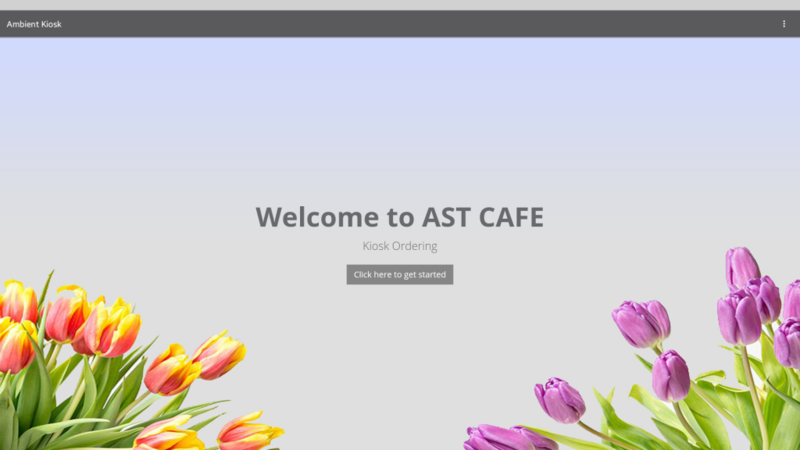 The ASTPOS Self-Ordering Kiosk is a convenient and great addition to any restaurant! Reduce your need for manpower, decrease lines and wait times for guests, increase your restaurantsales, improve efficiency, and improve your guest experience, by allowing customers to pay directly at a self-ordering kiosk with an integrated card reader. A personalized self-ordering kiosk can be yours for a low and affordable price! It can help reduce manpower and enhance customer loyalty. Contact us for customized price quotes. The kiosk helps reduce time spent by customers waiting in line to pay at a cash register. 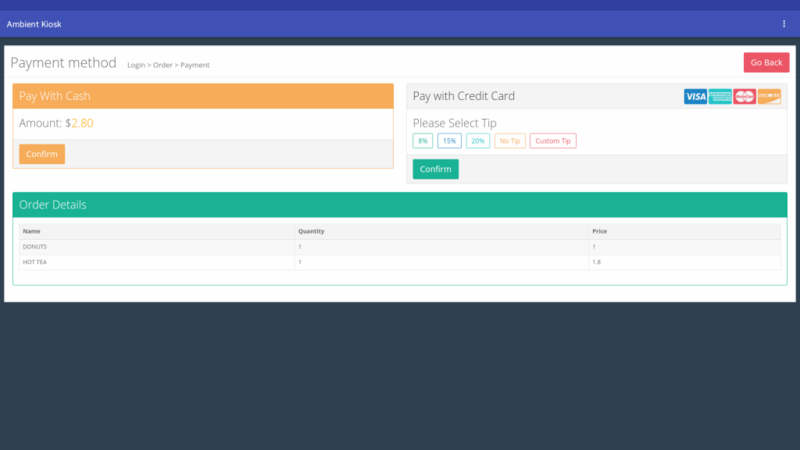 Customers can order and pay directly at the self ordering kiosk with the integrated card reader. 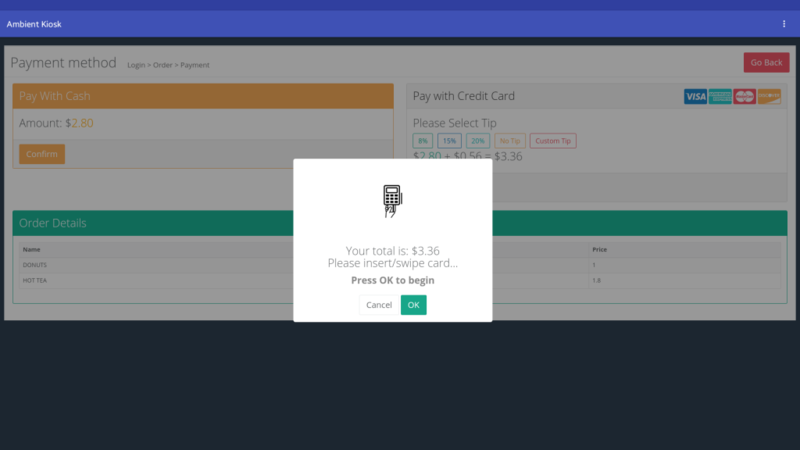 Users can pay directly on the kiosk with our EMV ready solution with receipt printing. What is EMV? Encourage ordering and sales with beautiful presentation and attractive photos and graphics. The self-ordering kiosk is Android and iPad compatible and you can analyze your customer’s buying trends.